This is what the Sovereign LORD, the Holy One of Israel, says: “Only in returning to me and resting in me will you be saved. In quietness and confidence is your strength. But you would have none of it. Ever just want to throw in the towel? Just give up. Forget about it! Just close your eyes and hope it goes away? Praying to move on to something else before you feel any more insanity creeping in? Sometimes waiting on God can be like that, yet you know deep down that it is for a purpose. We has humans by nature are wanting to rush through everything, never taking time to stop and settle with the dust to see what is right in front of us. We race through life as if we are not a vapor of the wind ourselves. We want to go from birth to driving a Mercedes because we have earned it along the way. Tell me we have never looked at the older generation and drooled over the fancy house they have or the sports car they get to drive. We want everything handed to us like the Jetson’s, not realizing that instant gratification just leads us to want more and more. Perhaps God is trying to slow us down for a reason; He does not want us to become spoiled, not just by the things of the world but in our spirit as well. What if we slowed down? Just what if we said “no” to a couple of things in our lives? Believe me there are enough people on this planet at any given time to accomplish everything that needs to be done and the things that don’t, well God has a plan for it. We often find ourselves chasing our tails so to speak trying to get everything done that we think we are responsible for. Where does it get us? 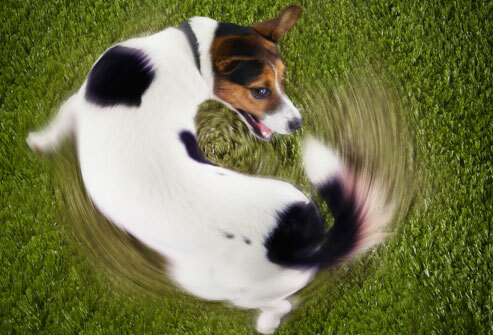 Still chasing our tail in a panic to accomplish something while just running in a circle. If God has our lives planned out even while we are forming in the tummies of our moms, than who are we to add more to that then we are capable of? If we would just take things to prayer in a quiet moment of our day, just maybe, we would develop this ability to say “no” where it is necessary. How often we get roped into situations because we feel guilty and are positive that if we don’t do it, it will not get done by anyone else. I assure you, just like God when He tries to pick people for assignments and they say “no”, He goes on to find someone else. Trust me, humans can do that too. If there is a position to be filled, I assure you there will be someone to fill it. What does it take to slow down? Not really sure on that one yet. Shhhh…..don’t tell anyone but I have not learned how to say no yet. It is hard to write on something I have yet to overcome, yet God has me writing in this direction today. Perhaps it because He is trying to get my attention. I know one of my biggest failures in my Christian walk is quiet time and slowing my life down long enough to really listen to God’s voice and directions. I like to think I am a work in progress; however, how many times has God to start over in the clay process with me? Sometimes I just try and try and it does not happen. I set aside time and then “something comes up” and off I go. Now don’t read me wrong, I pray on the go and read things from here to there, but to really sit down and have a designated time frame to be quiet with God ….not happening. I wish I knew how to make this happen, yet I have found no answer. It’s kind of like the diet and exercise plan I will start, right after I have this last glass of Cherry Pepsi or Baby Ruth bar. Now, I am not beating myself up over these things, not worth the time I don’t seem to have already, but I am yearning for a routine in my life. I have come to the realization with my weird schedule at work, trying to start my Mary Kay business, publishing a book, preparing for a daughter who is graduating and being a youth leader, I have myself painted into a painting looking like a bunch of paint splattered on a canvas. Yet, I feel I am okay, not over stressed out or running in too many directions, just not taking enough time out for God and me time. I was attending church every Saturday night for a soaking and prayer time but with work schedules and events, I am finding myself not having time to do that either. So as I progress onward, I have to find a balance. 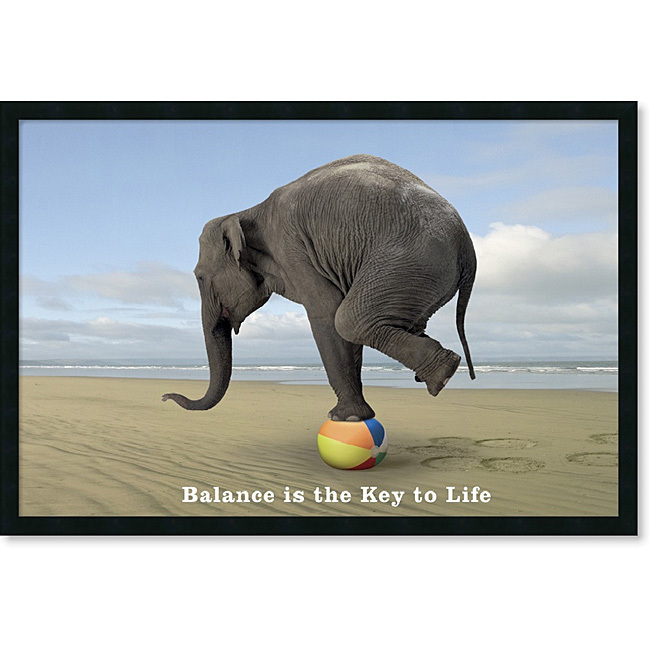 Hmmm…balance, what an interesting thought. Balance my self-planned life with the one God has destined for me. Previous PostMaking a U-TurnNext PostGo Ahead! Be Against it! This was the best line of the blog. It’s like tampering with God’s plan for our lives if we do get off his lane and take our own instead, becuase we feel like we know what’s best. Brenda, I am having trouble in this but the weirdest thing is that I had been receiving this same message for a couple of years now. It was almost as if God was giving me this message becuase he knew i was going to do something to the contrary. I just turned a Senior this semester. I am working on two degrees and after that, I have to transfer to a fashion school. You’d think I’d be happy as a Senior, but I have about 3 more years of school left. I started in 2006 during the fall but for five semesters straight, I took ONE class each becuase I was clueless on how to get financial aid even though the financial aid building was there in my FACE EVERYDAY! I can’t find reasons why it took me so long to get it when the help was within reach. My parents had to pay for my classes and I bet that was extremely hard on them. It is crazy. But during those five semesters, had I had the money, I would have gotten 20+ classes done instead just five and I probably would be on my way in either a year or less than a year. Think about it; 20 classes! Done and out the way! On a daily basis my past mistakes remind me of my hindrance to graduation. It is a painful reminder. I would hear many of my friends and students who say they are graduating this summer or in the next year and all I want to do is be with them in the same journey. It’s almost kind of embarrassing in a way becuase when I talk about it to other people, they get this sympathetic expression on their faces wondering why it’s taking me so long. I just give the excuse that I’m working on more than one degree, which is part of the reason but I can’t bring myself to admit that I had trouble with aid when it was easy to get. Because I am so hasty, I have been going back and forth on the decision to drop a major. But if I do so, my classes would go in vain. I am already over $25,000 in debt and I’m worried as heck on how I’m going to pay such a huge digit back, especially a bill that’s going to require me to pay a 3-digit monthly bill! I’m working on Marketing/Management Advertising Design and Graphic Design. and then I’ll work on that fashion degree. That’s going to be like two more years added but they’ll let me transfer 16 courses so that should be less time. So, I did something really stupid this semester. I overburdened myself with SIX classes. The deal is, if you take more than 4 classes, you get a discount on your tuition. That was partly the reason, especially since I’m worried about the big bill destined to hit me in the future. Brenda, It is not going to well so far. Thankfully my grades are great, but I do not know how long I can pull it off. I had been trying to do this for a couple of semesters. But this is the first time I was able to organize six classes. When I was a receptionist back in 2008-2009 (the last job I ever had), A random man visited me and randomly shared the bible with me. He told me about the verse that said something like if you are hasty in whatever you do, you are a fool. Something like that… And I can just see that man in my head right now. Joyce Meyer and Joel Osteen have also been giving me messages, but it’s like I don’t listen becuase If I have the OPTION to speed things up, why would I refuse? When I get home from school, I can’t have any time to myself. I have to worry about loads of lectures to re-listen to from my voice recorder. I have online classes to worry about. I have a group project to complete, which had ELEVEN pages of instructions, not to mention preparing for two tests and a whole semester reflection paper that I did not start on (7 weeks behind). I can kick myself right now! Plus I have been really tired lately. When I come home attempting to take a nap, I’d accidentally wake up late in the afternoon horrifically. I am debating about taking the summer off, but summer courses are free, short, and I can knock out a few classes. Can you see the lovely temptation here? But I have been so tired this semester, I just can’t stand the sight of another class until August. I don’t know what I’m going to do yet, but you’re not alone! Girl! All of my mother instincts are telling me to tell you to take the summer off and seek God first in your life, however….not being your mom…not my place:) Anyways, let me share my thoughts……One, you are overbooking yourself out of guilt. Two, God is still in control even whilst you are freakin’ out! and Three, Only you can change your circumstances and CHOOSE to slow down. With that said, when I separated from Brian, I was left with 2 teenagers, lot rent, no major appliances, no gas on at the trailer and over $10,000 in debt. Did I starve? Did we get evicted? Did we freeze? No, God did not allow that to happen. Matter of fact in 6 months time all I had left to take care of was paying on the $10,000 debt which was coming out of my checks via garnishments. We never once lacked any provision. God promises to provide if we just seek Him first. Please know that I am praying for you. You are almost young enough to be my own kid, I am praying for you to succeed, and you will. God will make a way even if we are the ones who have seemed to stray. He never leaves you. And He always provides for your needs. Maybe taking the summer off and getting a job for a bit, will help take some of the pressure off, just make sure it is a fun job with pay. When I began putting God first in my life, even though I don’t really have it all mapped out, things changed and so did my attitude and my inner calmness. Bills still come in haunting me from the past, but I just give it God and He makes a way, either I get a break on something else or perhaps I get a few more hours at work. Hang in there! I am praying for you! Love ya! As usual, a good read, a good word, and so glad you are in my life, sister! LOVE YOU! Correction* Taking the SUMMER off. LOL Taking a day off is a start:) I am very honored to have you both as my friends! God willing we can meet someday!! !